Moisturizing your skin on a regular basis, especially after 30, is at the top of our list. Finding a moisturizer that you love for your face is important, but also using lotion on your entire body will help you reap anti-aging benefits. Your skin will hold its elasticity better all while giving you a healthy, hydrating glow. Moisturizing in the morning and at night will yield better results and will keep your skin looking and feeling it’s best. Make sun protection a priority. We can’t stress enough how important it is to shield your skin (and hair!) from harmful sunrays. The sun can cause cancer, discoloration, wrinkles and melisma, among other issues. Since you can’t always reverse these conditions after the damage has already been done, its best to find a daily sunscreen that can be easily reapplied and even layered under your makeup. There are so many lightweight and non-oily sunscreens out there, it’ll be a breeze to find a favorite and stick to it. P.S. Don’t forget a sunhat when necessary too! We all scream for eye cream. Second to a good moisturizer, eye cream should be an important part of your after 30 skincare routine. So, what’s the difference between regular moisturizer and an eye cream? Eye creams are specially formulated for the delicate area surrounding your eyes, something that moisturizers lack. Eye creams can help lighten those pesky dark under eye circles, reduce puffiness, and help prevent wrinkles. Don’t skimp on the scrubbing! Regularly exfoliating your skin helps remove impurities and dead skin. Skin cell production slows down as you age, resulting in dead skin sitting on the surface of your face. Using an exfoliator at least three times a week allows your moisturizer to break the barrier of your skin so that it doesn’t have to fight through all the dead skin on the way down. Similarly, retinol products help peel off layers of dead skin faster than a scrub would, leaving your skin youthful looking and allowing product to work its magic. Be sure to exfoliate at night followed by your favorite moisturizer and eye cream. Make facials a routine…not just a treat. Self-care should sit at the top of your priority list all time, not just when you enter your thirties. Set aside time to get a facial not only for its relaxation benefits, but for the wonders that it will work for your skin as well. You will also find that your favorite esthetician can make skincare recommendations based off what she knows about your skin. Our mothers were right…it pays to never go to sleep without washing your face beforehand. Allow your skin to breathe and rejuvenate while you sleep by removing the day’s makeup and dirt. Beauty sleep is a real thing, ladies. And finding a gentle yet cleansing face wash is just what you need to complete that. If you haven’t already found a skincare routine that works for you, now is the time to solidify it. It may take some trial and error when it comes to finding products that mesh well with your skin type, but we promise the results will pay off over time. You may not instantly see results overnight, but these tips are all about prevention and postponing signs of premature aging. By following these tips, you’ll be well on your way to a healthy glow that will last for decades to come. 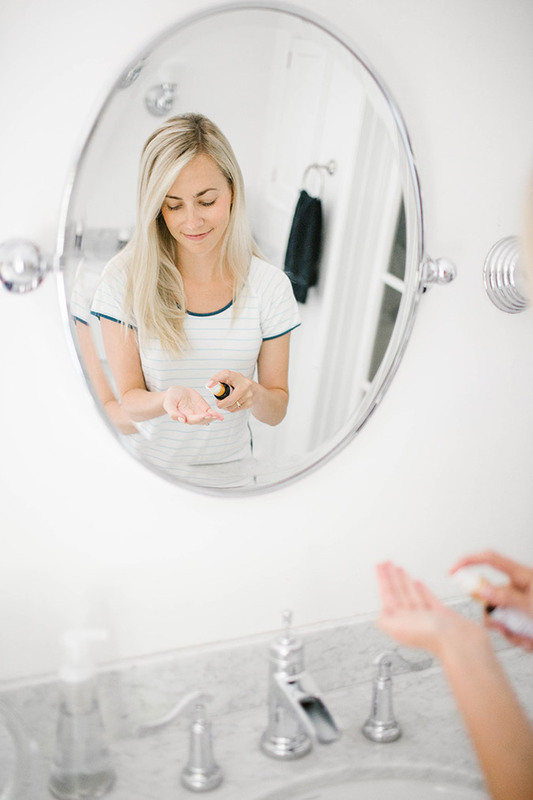 Do you have any skincare routine tips for your fellow LaurenConrad.com readers?